We are very disappointed to report that fly tipping has occurred on the green opposite the school on Dragonfly Lane over the weekend. As this land belongs to the Parish Council we will have to pay for its removal … this effectively means that our parishioners are paying, as we are funded through the precept. We sincerely hope that this was a one-off event as repeat incidents could impact on our future budgets, if we have to plan for frequent removals. If you have any information on this event please do contact the police on 101. 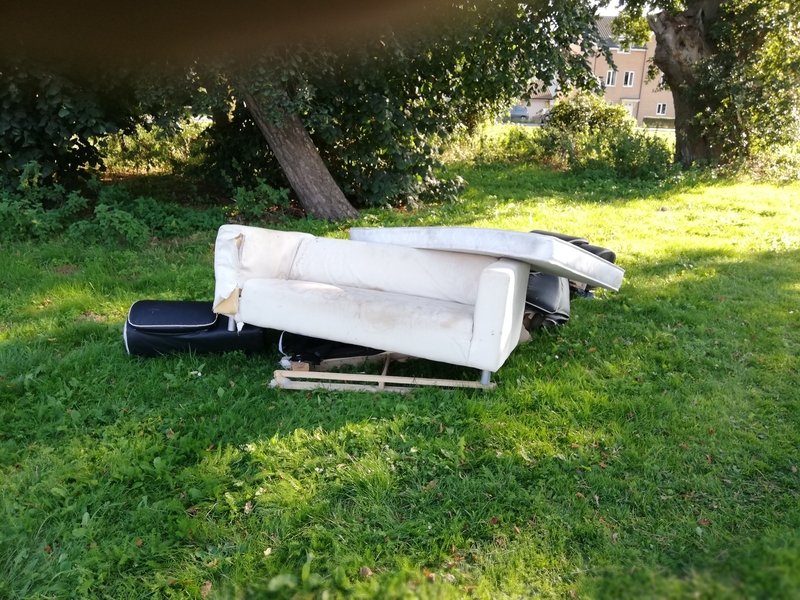 You may not be aware that Norfolk County Council is changing how it runs its waste recycling centres and bringing in charges for the disposal of DIY waste. A public meeting is being held by the South Norfolk Police in the Pavilion at the Recreation Ground on Wednesday 10 October from 7-9pm.